Balmoral Condominiums consists of 58 units and is located next door to Cranbrook Park and is within the city limits on Oakbrook Drive at South Main in Ann Arbor, MI. This means that downtown Ann Arbor is easy to get to and that the community is close to Briarwood Mall, great Restaurants, other shopping and more! This is a great proximity to the U of M stadium and Crisler Arena– Perfect for game day! 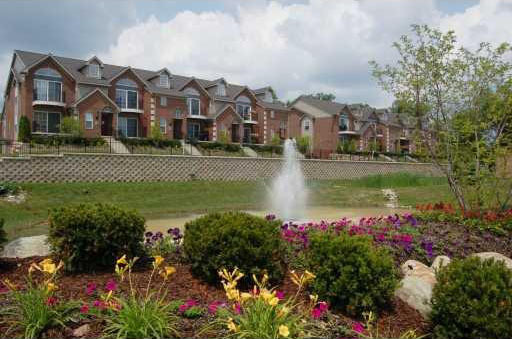 These units offer a fantastic maintenance free lifestyle with lush landscaping! Parents are delighted as their children attend Ann Arbor Schools: Bach Elementary, Slauson Middle, and Pioneer High School. If you are looking for a lovely condo in Ann Arbor – THIS IS IT! Balmoral Park Condos are the choice! These gorgeous “brownstone-esque” properties are located in fantastic Ann Arbor, MI. Constructed between 2005 and 2007 by the Wineman and Komer Building Company these homes have it all! Balmoral Park Condominiums offer well-designed ranch style homes with 4 floorplans to choose from offering attached garages and basements for privacy and convenience. Units are between 1500 and 1760 square feet and come in either 2 or 3 bedroom, 2 or 3 bathroom options.